ARP Stream is a modular style complex Sequencer with an Arpeggiator at it’s core. It features many different ways of manipulating pitch and tempo which can all interact with each other which makes it fascinating to explore. It also has 3 CC Sequencers which can target any CC number and also includes a profile Editor for making your own specific correctly named profiles for hardware etc. Altogether there are 11 Sequencers. The top 4 target the usual suspects; Trigger, velocity, Note Length and Octave Offset whereas the bottom 4 are where things start to get interesting. The Repeat Sequencer serves 2 purposes, the first is the ability to play sub Gate Sequences. Each Step allows selecting the number of repeats and which Grid will be used if any. Secondly Every other Sequencer has an ‘RP’ Button which when enabled will repeat ‘X’ Repeats before moving forward. Random Volume Sequencer now disregards the ‘Full V’ setting. Added Copy To All and Remix functions. Random Slice now quantized to 1/4 to make them more useful especially for Drums. Added ALT/OPTION Vertical Editing for all Pattern knobs, Sequencer Rows still behave the same as they did previously. Emergent Properties is an Advanced Wave Sequencer which has a main Melodic sequencer plus 2 additional Drum sequencers. The main Sequencer is designed around complex Wave Sequencing using a large collection of over 1000 Morphing Samples which evolve through different sounds. Each sequencer has it’s own Step length and the Bank, Wave and Slice sequencers add up to determine which Sample will be played. Additionally there are 30 Different Modes selected via the Mode sequencer lane, which can radically change the sound such as LFO Chopping, Reverse, Phasing and Talk type Modulation effects. Added Length Parameter to the Offsets. All Sequencer knobs and Buttons can now change the value in all 12 pattern simultaneously by holding ALT/OPTION key when clicking them. Fixed bug with Offset lengths not Randomising, updating correctly. Added ALT/OPTION Key for setting all Offset Button/Knobs in all Patterns. Added Send to All patterns to the Options Menu for each sequencer. Added Remix Function/Remix All to the options menus. Copies the associated Sequences to all Patterns and creates a sequence by randomizing and duplicating current steps. Added Remix Function/Remix All to the options menus. Copies the associated Sequences to all Patterns and re-arranging the sequence order of the copied versions. There is also a direct Button ‘REMIX’ to achieve this directly. 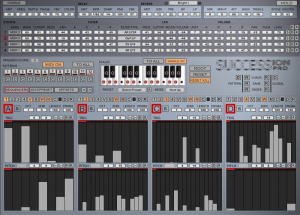 Succession Pro is an Advanced Sequencer/Drum Machine which uses 4 Sequencers and 4 Synths. Any sequencer can target any or all of the synths making it a very flexible system. It uses 12 Patterns which hold all Sequencing data which are switched either by using the GUI buttons, or a dedicated Octave on your Keyboard (shown in red on the Kontakt Midi Keyboard Display). The idea is that you perform these patterns using this switching to create unique and complex Sequences easily. The Scale Remapper, automatically re-pitches so that Sequences always align with the Scale and can be used Globally or use a different Scale for each pattern. Each of the 4 Sequencers use a Trigger sequencer which determines when notes are played, anything above zero will trigger and additionally the value used can sequence Velocity, Sample Start or Waveform IDs or any combination. There is also a Pitch sequencer which has it’s own step length and frequency for creating syncopation. It has it’s own internal preset system like all other HGS Kontakt Instruments as well as a sophisticated Randomization system for easily generating Presets even at the global level. Finally there is an FX section which has a Modulator (Chorus, Flanger or Phaser), a Tempo delay and a Reverb with 50 Impulse Responses. Dark Matter is an Advanced Loop Re-Sequencer which works with tempo synced Loops in a variety of ways. It has 13 Sequencer Rows and uses 889 loops across 7 Banks at it’s core which includes Synth Sequences, Morphing Sounds, Radio Sounds, Drum Hits and Loops. Sections of any of these can be selected on each step using the Slice Sequencer which allows and of 16 start points to be chosen. There are also 22 modes for each bank that include things such as LFO Chops and reverse modes. This years Group Buy has the potential to achieve a total of 15 Products for just $19.99. 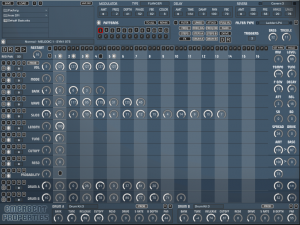 There are six Kontakt Instruments which will be developed throughout the Group Buy which include Synths, Loop Manglers, a Midi ARP, and a Drum Machine. 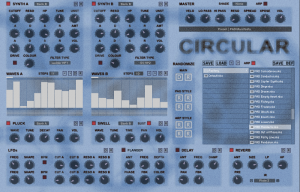 Circular, a synth which is based around cycling different Waveforms per note is immediately available to kick things off. As well as the Kontakt Instruments, 5 Levels will unlock Bonus Product credits which can be used choose from a range of 56 products from the back catalogue. The products range from Kontakt Instruments to Synth Presets, Sampled content to VST Instruments. Even if you don’t use Kontakt it can be worthwhile to join to get a potential 5 products you may be interested in. These Group Buys are now becoming an annual event beginning with Cassetto and last years Augment. Because the instruments are developed as the Group Buy progresses, it is estimated that it will run for 3 months to give enough time to complete all of the development. Last year ran at a steady pace so that products were always available as the level was reached, each product is developed in series and will hopefully be ready for each level. Last year saw some great ideas come up through the discussion thread which helped to shape the final instruments, which makes it an interactive experience for those interested. All Kontakt Instruments require the full version of Kontakt 5 or later and will not run in the player. A collection of 80+ presets for the Virtual Synthesizer Serum created by Xfer Records. The collection mainly consists of Pads and Atmospheric Sounds with plenty of movement. All Presets make good use of the Modulation Wheel and Aftertouch for added expression capabilities. 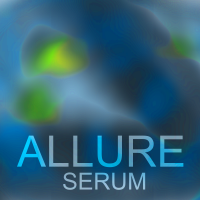 Allure costs $19.99 but is available for an introductory price of just $14.99 for the next few weeks. 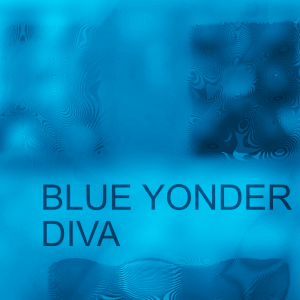 Blue Yonder costs $19.99 but is available for an introductory price of just $14.99. 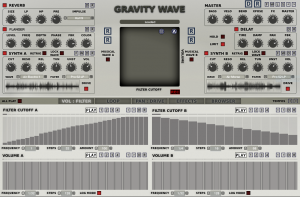 Gravity waves costs $39.99 but is available for an introductory price of just $19.99 throughout August.